Passionate about shopping locally, buying from independents? I thought I was, but when I really thought about it, and particularly with regard to food, which is something that I am really passionate about, am I? I’m the owner of an independent builders merchant, and I get so upset if I see my customers in a big chain buying something they could get from me, but do I practise what I preach? If I’m not working on a Saturday, I might visit the market, buy some veg, salad, maybe some cheese. Pop into the butchers and bakers for a purchase or two. But honestly that’s about it. I make the bulk of my food shopping online or at one of the bigger supermarkets. If I really want to be able to say that I am a champion of independents then I need to ensure that I really am. So my challenge is that for the next 30 days I will only buy food in an independent shop. If I eat out it will be in an independent pub/restaurant. I will be honest about my challenge, what’s been easy and what hasn’t, and hopefully I will learn even more about other independent retailers at the same time. My ultimate hope is that it will become a new habit rather than just a 30 day challenge. 2. I will eat food that is already in the house, I’m not about to waste food! 3. 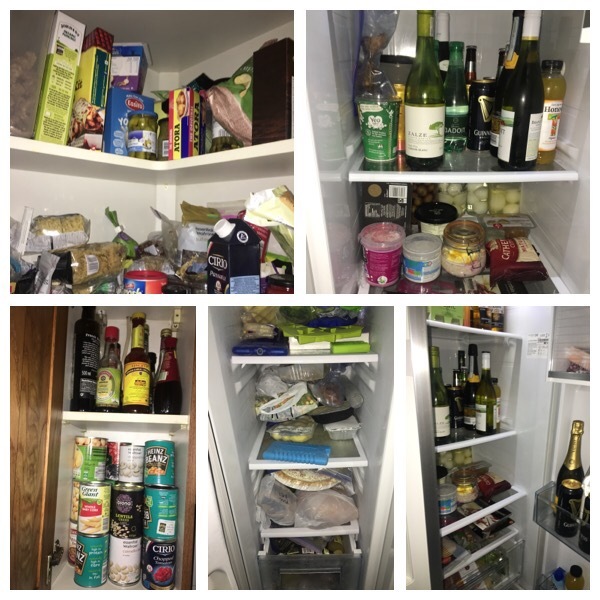 I’ve not done a massive shop already – I’ve posted images of my cupboards below and will do the same at the end of the 30 days. 4. I will post daily on instagram what I’ve eaten and where I’ve bought it from. 7. If someone else cooks for me (or takes me to dinner) I will eat it, but share with them my challenge in the hope that they will help me.